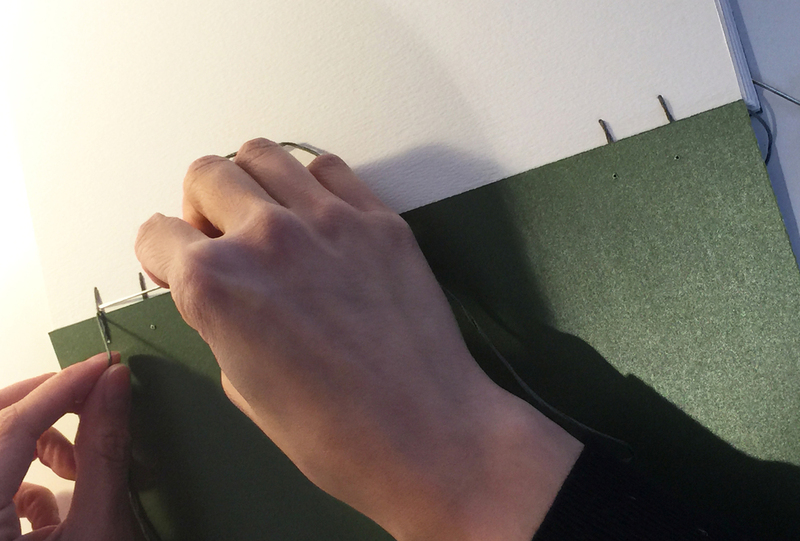 Working with the straight bookbinding needle. The needle goes through the previous stitch. Maneuvering the needle between the previous page. 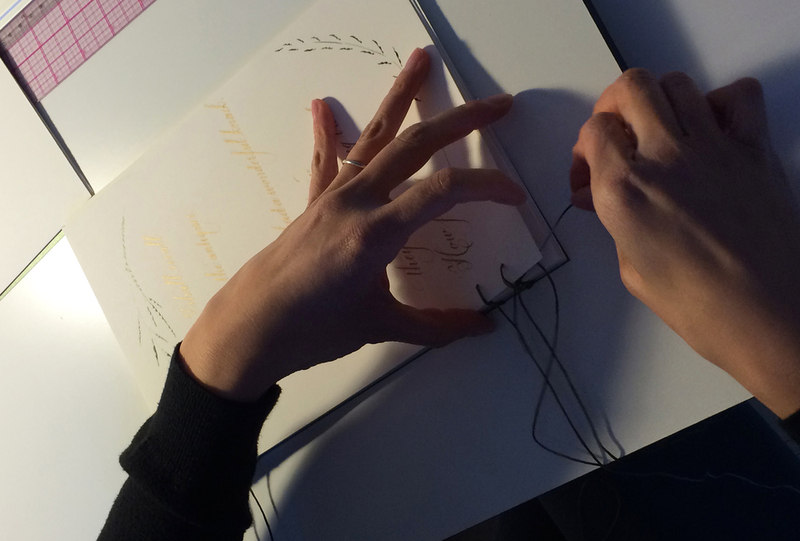 Pulling the thread through while straightening the pages. Binding done and now the threads need to be knotted and cut. This little song of friendship is merrily on its way. 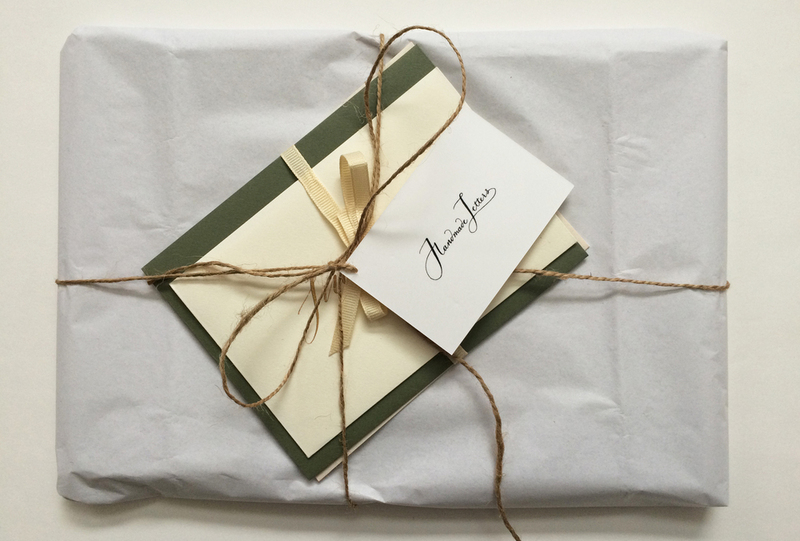 Washington, D.C. — I was hired to calligraph a song of friendship by a client. What I had originally conceived as a long vertical piece eventually turned into a multipage booklet. 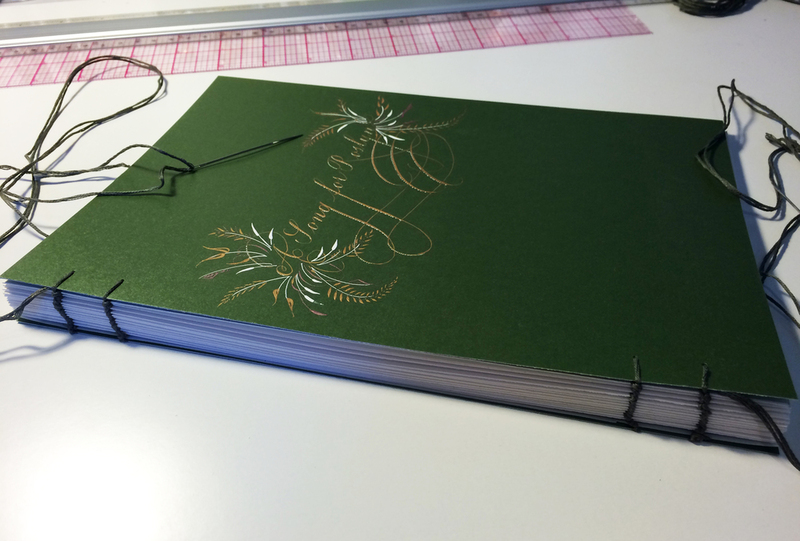 I was a little nervous not knowing how to approach binding the pages together. After a bit of Googling, I came across this wonderful YouTube video by Sea Lemon, demonstrating a DIY approach to binding single pages. I love to embroider and cross-stitch, so I found this process to be really fun. And oddly enough, the repetition was quite meditative. 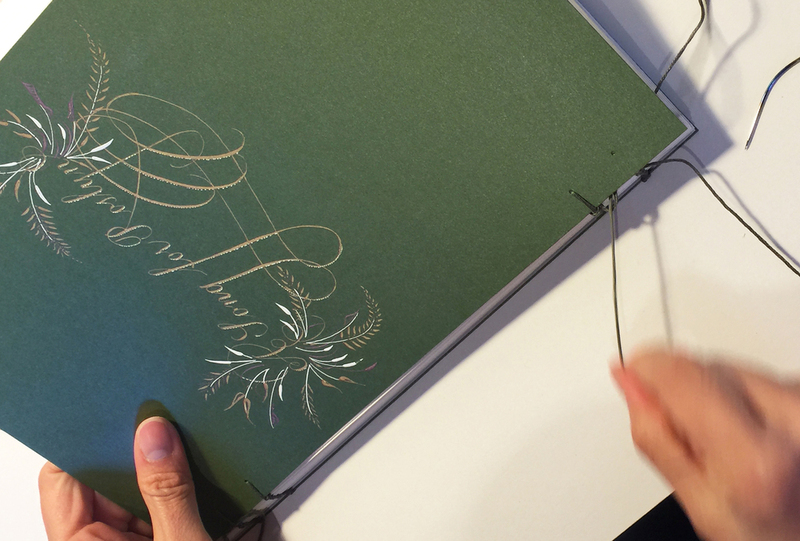 When I have more time, I would love to make hand-bound art journals for my niece. I was happy with the results, and the hand-done binding added an even special touch to this already unique gift from one friend to another.